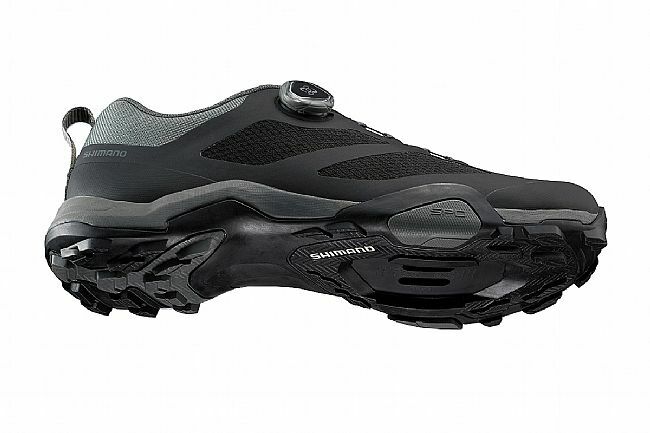 The Shimano MT7 Mountain Bike Shoe is a versatile, durable, and comfortable mountain shoe that represents the limitless opportunity for adventure on the mountain. This nontraditional mountain shoe features a hikeable sole that provides the optimal amount of stiffness for mountain bike riding, while maintaining flexibility for off the bike exploration as well. A Boa L6 dial allows for a comfortable, precise fit at the turn of a dial. 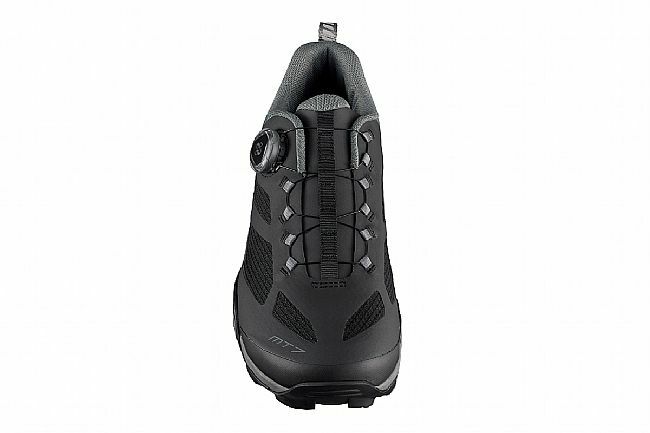 The Shimano MT7 Mountain Bike Shoe is available in whole sizes only, from size 42 – 47. Compatible with 2-bolt mountain-style cleats and pedals. Comfortable, well-ventilated hikeable mountain shoe offers touring versatility. Micro-adjustable Boa L6 dial closure system for a precise, glove-like fit. EVA midsole and rubber outsole offer pedaling efficiency and walking comfort. Flexible half-length shank performs on and off the bike. Compatible with 2-bolt cleats only.